“Before I used the breath I felt a little upset and a little angry….they made me feel better. All of the pupils interviewed had taken part in a pilot project of Let’s Chill during the spring term of 2009. Three schools were requested to teach Let’s Chill either as a whole class, small group or with an individual pupil for a six week period. Pupils who were on the Let’s Chill programme either received the input daily or weekly. Evaluation took place at the end of the six week period (pupil interview, teacher/ headteacher interview, SDQ questionnaire for staff completion on pupil behaviour before and after the six week period). The results showed that the pupils enjoyed the programme, that it was easy to use and that there were improvements for the pupils in a number of areas (e.g. reduction in temper tantrums, improved social skills, improved attention and task completion, less complaining of headaches and tummy aches). 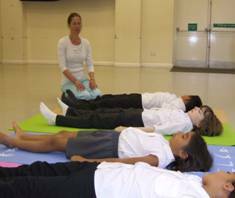 The Let’s Chill programme is based on yoga principles (breathing, relaxation and meditation) and psychology (awareness of thoughts and feelings and how they connect to behaviour) and reflects current research in the field of relaxation and yoga. 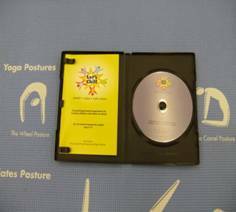 The programme comprises of a CD and a short training manual for staff which guides them in the key areas (how to run the programme, preparation, running the lesson etc.). It is designed for the age range 5-11 years but older /younger pupils may benefit depending on their individual needs. The six lessons last 10 minutes each and are highly structured with reinforcement of learning from one lesson to the next. The language is kept simple and key instructions are repeated at the start/end of each lesson. The programme is designed so that pupils who have special educational needs can participate (e.g. autism, emotional and behavioural difficulties, anxiety, confidence, attention). The pilot study showed that a range of other pupils may also benefit from a quiet time which is non-academic and nurturing (e.g. pupils who are experiencing stress at home such as bereavement, family break up). Training is available at Let’s Chill training courses in Milton Keynes or tailored to suit staff needs in school (with an individual member of staff, small group or whole staff). 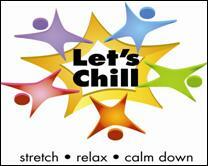 If you are interested in finding out more about Let’s Chill contact Lisa Gupta at lisa.letschill@gmail.com.